This is a very moving memoir of a Japanese-American woman who was interned as a teenager. It may be of particular interest to fans of Guterson's Snow Falling on Cedars: the Matsudas were strawberry farmers living on Vashon Island in the Puget Sound. It is also interesting to compare and contrast it with Jeanne Wakatusi Houston's classic Farewell to Manzanar. 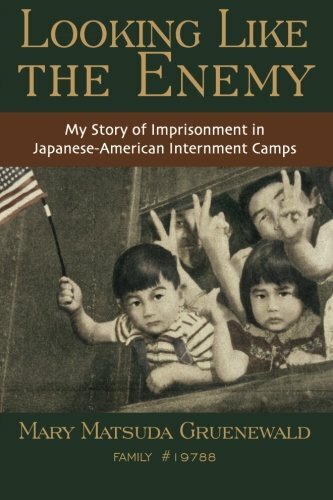 Even though I was aware of the basic history of the internment and knew it to be a horrible injustice, I could not begin to feel the awful indignities and terrors without reading such a first-hand account. On a more general level, it helps me to understand that the effects of any catastrophe on its victims can linger long after the intense crisis. Even if one could argue a justification for interning or profiling people, it remains that, although it wasn't as bad as it could have been, it also wasn't conducted with due regard for the possibilities, indeed the near certainty, that a large number of the people were innocent. I am not certain that any such program ever would be handled with the care that such a drastic step would require. I recommend this not only for understanding this terrible event in American history, but also a a more general cautionary tale about the dangers of letting suspicion and fear override our sense of fairness. Mary and her family raised strawberries like many of the other Japanese families on Vashon Island but life came to a crashing halt with Executive Order 9066. As a teen, Mary experienced anger and confusion about being American and Japanese; as an American-born, how could her own country treat her this way? Yet as a Japanese, Americans would never see her as anything but. Despite this scary, frustrating time, her parents’ stoicism and faith that all would work out keep her grounded at the times she needs it most.